Joel Feder January 9, 2017 Comment Now! Look, Kia has a history of delivering on concept car promises, a lot. 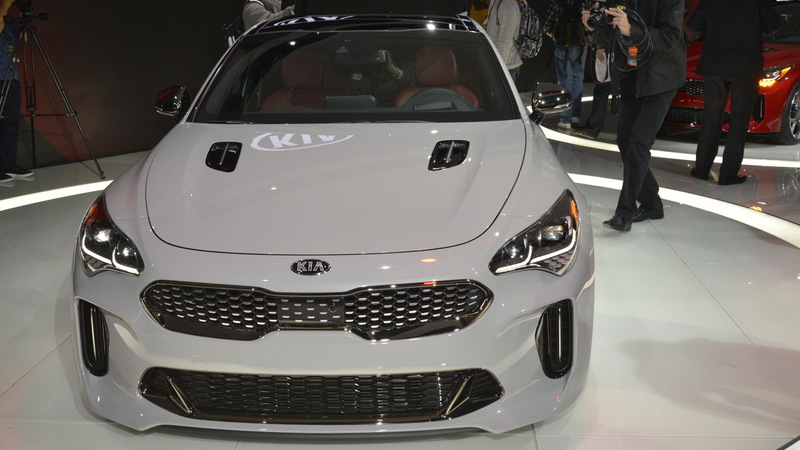 But today the company makes a leap forward from that car company that offers nice, mainstream cars like the Soul and Optima to being serious with enthusiasts with a rear-wheel-drive sports sedan. 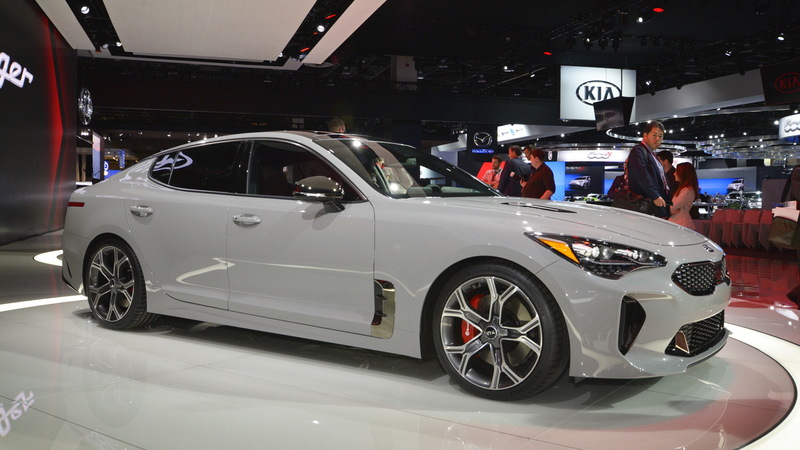 I present to you, the 2018 Kia Stinger. So one thing real quick just because this is weird. 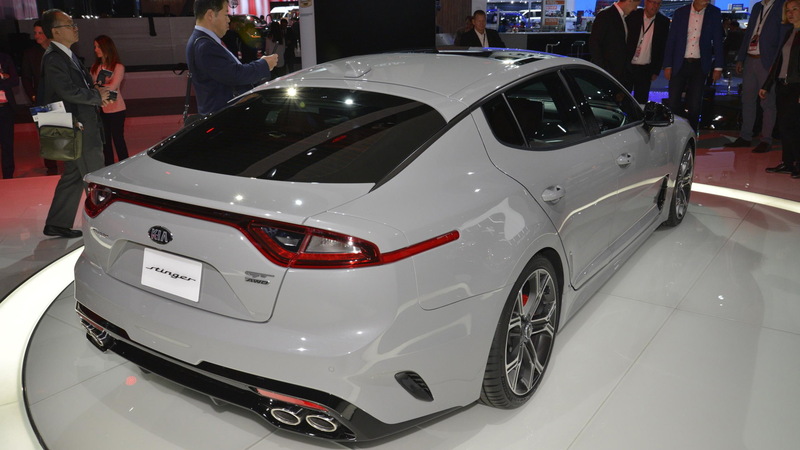 Make no mistake, this is the GT concept brought to production for all intents and purposes, but it wears the Stinger nameplate in production trim, which is odd, because there was a Stinger concept, which was a two-door coupe sports car. But I digress. The overall design is very close to that of the concept, which, is a very good thing. It’s a stunner with a fastback shape and decided European flair. It has classic rear-wheel drive proportions with a long front end and short rear deck. 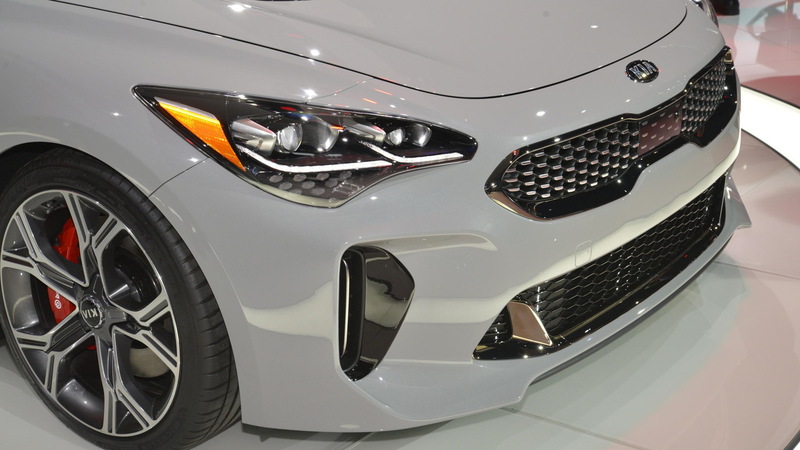 Kia’s corporate grille up front ties it into the current lineup, and sharp LED headlights grab your attention. Inside you’ll find a dashboard with an interior befitting that of a luxury sports sedan from the available nappa leather seats and touchscreen infotainment system to the large gauges ringed in metal with red needles. There’s a screen in the gauge cluster that can display G-force, lap times, and engine-oil temps for enthusiasts. Size wise the Stinger sits just a smidge longer than the Audi A4 and really the extra room is in the rear seat for passengers. Base Stingers will be powered by a turbocharged 2.0-liter inline-4 with 255 horsepower and 260 pound-feet of torque. Those wanting more can opt for a 3.3-liter twin-turbo V-6 with 365 horsepower and 376 pound-feet of torque. Both are mated to an 8-speed automatic transmission and send power to the rear wheels or all four wheels, as all-wheel drive is on the options list. Performance specs? 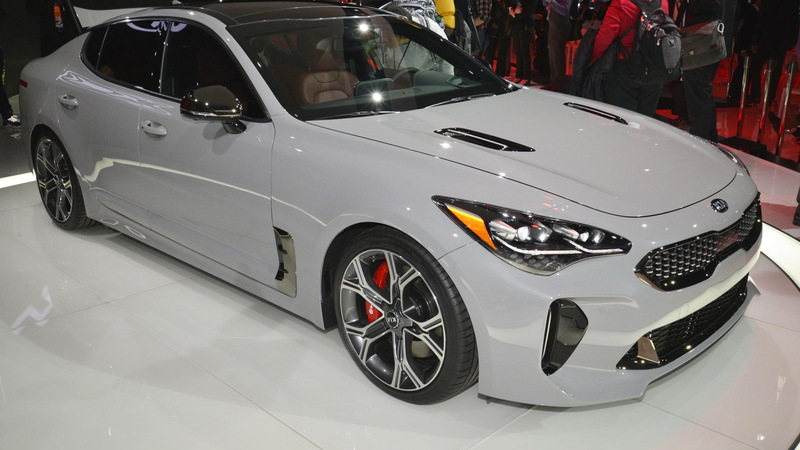 Kia’s claiming a target 0-62 mph time of 5.1 seconds and top speed of 167 mph with the twin-turbo V-6. Noteworthy are the vented Brembo brakes on the twin-turbo V-6, and staggered performance rubber. There’s also adaptive suspension for further fine tuning. Active safety tech such as forward collision warning with emergency braking and pedestrian detection, adaptive cruise control, rear cross traffic alert, are all available. Available features include everything you really want in a luxury sports from a color head-up display and wireless smartphone charging to Harman/Kardon sound system. Of course, the elephant in the room will be pricing, and that won’t be announced until closer to launch later this year. Stay tuned for that and more details. In the meantime, click here for more from the Detroit auto show.